The allure of far off places and remote regions of the world are what makes international travel so exciting and invigorating. We see the pictures of places so pure and so spectacular it’s almost as though we feel drawn to them. In our haste to see the world we often neglect the importance of preparation and diligence required to safely explore. When traveling internationally, your adventure does not begin when we board the plane but rather when we make the commitment to do so. Prior to departure there are four key things to consider: travel insurance and visa requirements, inoculations, currency and exchange, and most importantly the environment in which you will be exploring. For the purpose of this article we will focus on traveling to Tanzania, Africa and climbing Mt. Kilimanjaro or going on a safari through the Serengeti and the Ngorongoro Crater. One of the most often asked questions by clients traveling to Africa is “will I need travel insurance?” The answer is always YES and we cannot stress the importance of obtaining adequate insurance prior to traveling. Why is travel insurance critical? For places such as Kilimanjaro, where altitude sickness is common, it is critical to have ample medical and repatriation coverage prior to departure. Further, if you are planning on traveling with an organized tour where deposits and prepayment are required, it is strongly recommended to purchase trip cancellation and interruption insurance within 21 days of departure. Your visa requirements are easy to obtain but something you must not overlook. For traveling to Tanzania you will be required to obtain a visa from the local embassy by providing: an application, a valid passport, two photos, a self-addressed stamped envelope, visa fees, proof of travel, and a bank statement to prove sufficient funds. Additionally, should you make a stop into another country, such as Zambia, Uganda or Zimbabwe, be sure to check with their department of foreign affairs for the appropriate paperwork. • Tetanus, Diphtheria: All travelers should have a booster dose within the last 10 years. Please consult your physician prior to taking any of these medications and be sure you understand the appropriate dosages for each. Prior to traveling to an international destination be sure to understand the local currency and the appropriate exchange rate. It is recommended that you exchange a small amount of funds prior to departure since airport rates do not offer the ideal exchange. Further, inquire about specific credit card use and whether large bills are accepted in your destination country. For example, the Tanzanian Shilling can be exchanged at any Bureaux de Exchange, rate of $1 USD = $1,303.00 TZS, with traveler’s checks and major credit cards being accepted. When traveling away from major city centers, such as to Mt. Kilimanjaro or a safari, we recommend carrying cash on hand since the use of credit or check is typically unavailable. Finally, while these tips are general, and can apply across the board to any international destination, for seamless and safe travel I recommend checking, understanding and researching the area in which you will be exploring. Additionally, for any international adventure program I always request a copy of my clients passports, travel insurance, and drivers license to keep on hand in case of an emergency. Further, leave a list of you contact information whilst on the trip and where you will be throughout. Following these pre-trip suggestions will make your once in a lifetime climb or safari the perfect escape from your everyday life and provide a chance to immerse yourself into a new world. 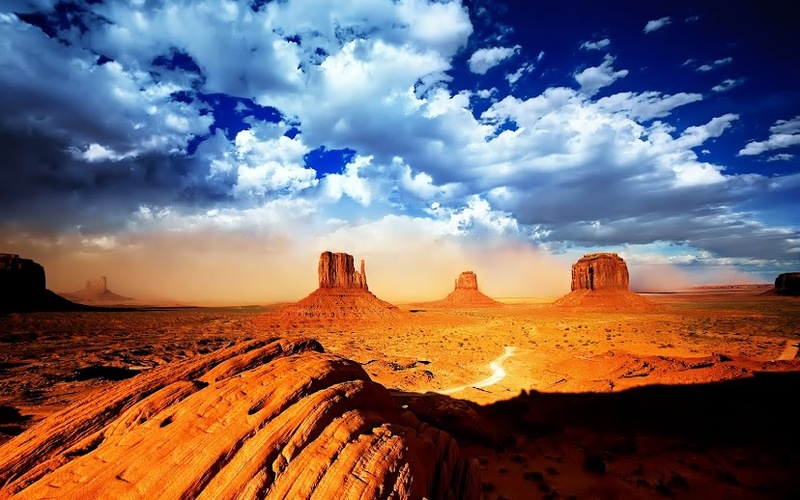 The diverse nature of the U.S. landscape offers backpackers an excellent opportunity to explore its many different climates, terrains, and geographic regions. Trying to select the top hikes in the country was difficult so I decided on a series of hikes along the four major treks in the U.S. as well as one additional hike which is a favorite of many veteran hikers. 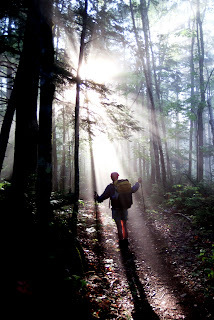 The four major treks include the Appalachian Trail (AT), extending 2,170 miles from Springer Mountain, Georgia to Mount Katahdin, Maine; the Pacific Crest Trail (PCT) covering 2,650 miles from Campo, California, to Manning Park, British Columbia; the Continental Divide Trail (CDT), spanning 3,100 miles from Glacier National Park to Antelope Wells, New Mexico; and the Colorado Trail (CT) running 483 miles from Denver to Durango, Colorado. 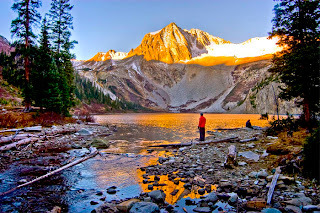 Each of these long trails is unique and special in its own right ranging from the cultural experience of the AT to the high peaks of the Eastern Sierras. The trail sections I selected are considered to be stand outs within these great walks. They are truly worth experiencing solely because they exist. What makes This Hike Unique: This spectacular section of the PCT mesmerizes hikers with its stunning view. 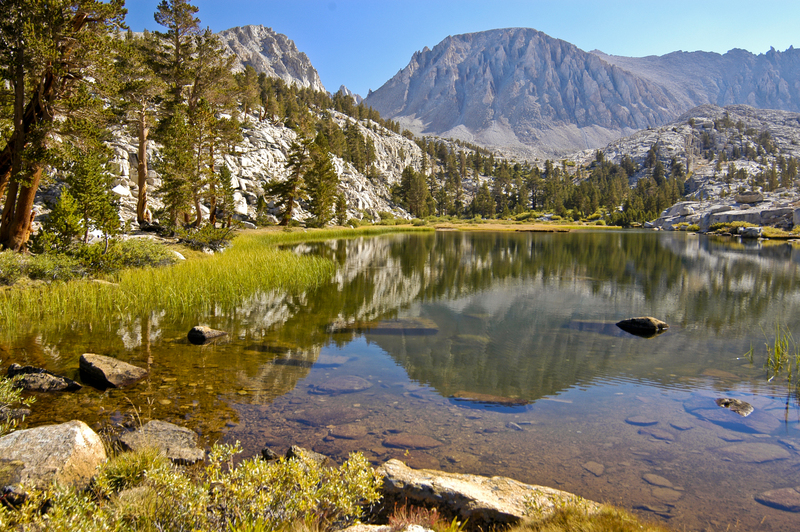 The John Muir Trail is quite possibly the most famous trail in America and blessed with the mildest and sunniest climate of any major mountain range in the world. 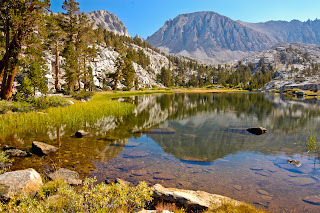 The John Muir Trail is a wonderful rollercoaster, rising and falling through the incredible variety of scenery of the incomparable High Sierra, a glorious mountain world of glacier-sculpted, granite domes and peaks, pristine conifer forests, timberline lakes, high waterfalls, and tumbling creeks. The trail passes through a land of 13,000 and 14,000 foot peaks on your way to the highest point in the lower 48, Mt. Whitney at 14,505. The trail is named in honor of John Muir, the Scots-born environmentalist and mountaineer who explored these mountains from 1869 onward and whose campaign for their preservation resulted in the formation of the Sierra Club and the creation of Yosemite and Sequoia National Parks. What Makes This Hike Unique: The final miles of the Appalachian Trail weave through a wild landscape flush with the diversity of northern Maine, through some of the most remote-feeling mountains and forest traversed by the Trail. 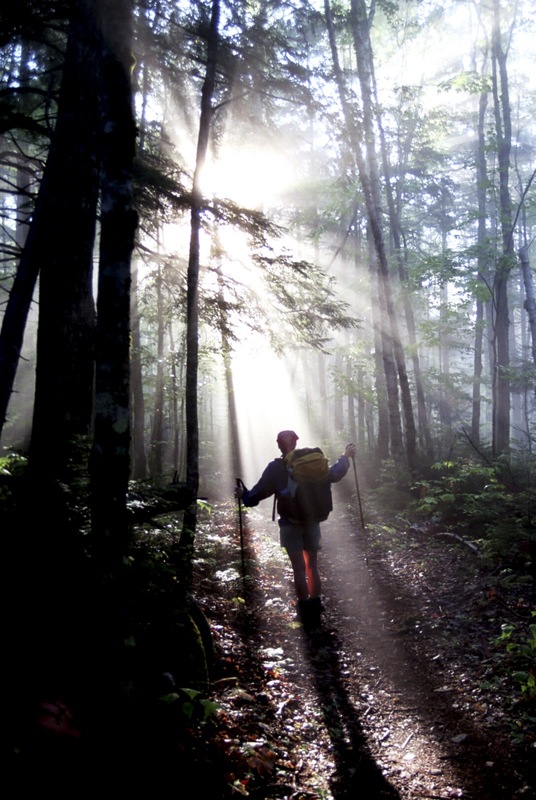 The spectacular "100 Mile Wilderness" of the Maine Woods represents the longest stretch of uninterrupted wilderness along the entire Appalachian Trail. Here, intrepid hikers can visit meandering rivers, reflecting lakes, monster trees, and airy viewpoints. Approximately half way through this spectacular hike and 0.8 miles off the Trail you can summon a pickup by boat across Lake Pemadumcook with an air horn to take you to White House Landing Wilderness Camp for an opportunity to shower, sleep in a bed, and have a burger and ice cream. ﻿﻿﻿﻿﻿﻿ Distance: 40 miles from Elk Creek Trailhead to Needleton train stop. What Makes This Trail Unique: Boarding an old steam train in Durango and riding through the spectacular mountainous scenery of the Animas River to the Elk Creek Trailhead. The Durango & Silverton Narrow Gauge Railroad provides one of the more popular access routes to the Chicago Basin in the Weminuche Wilderness. The CDT and the CT are part of this 40 mile hike where your reward will be stunning vistas, abundant wildlife, colorful wildflowers, and waterfalls. From the Chicago Basin you can summit three of the most remote fourteen thousand foot peaks in Colorado; Windom Peak (14,087Ft), Sunlight Peak (14,059Ft) and Mt Eolus (14,084Ft). What Makes This Hike Unique: Located only a few minutes out of Aspen, CO, the Maroon Bells four pass circuits is a wonderful mix of rugged mountains, beautiful lakes, flower-filled meadows, and forested valleys. The peaks are high and steep, six rise above 14,000 feet, and the valleys are narrow and deep. The most dramatic and well-known peaks are the Maroon Bells, North Maroon and Maroon Peak, named for their bands of dark red sedimentary rock. 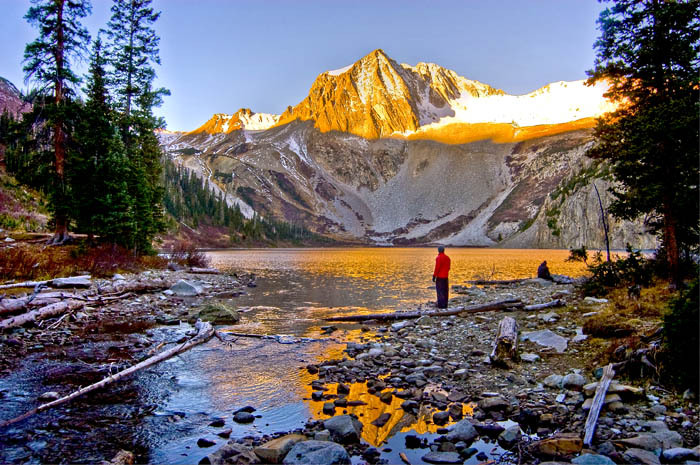 Snowmass Lake is a beautiful timberline lake with Snowmass Mountain and Hagerman Peak rising above. 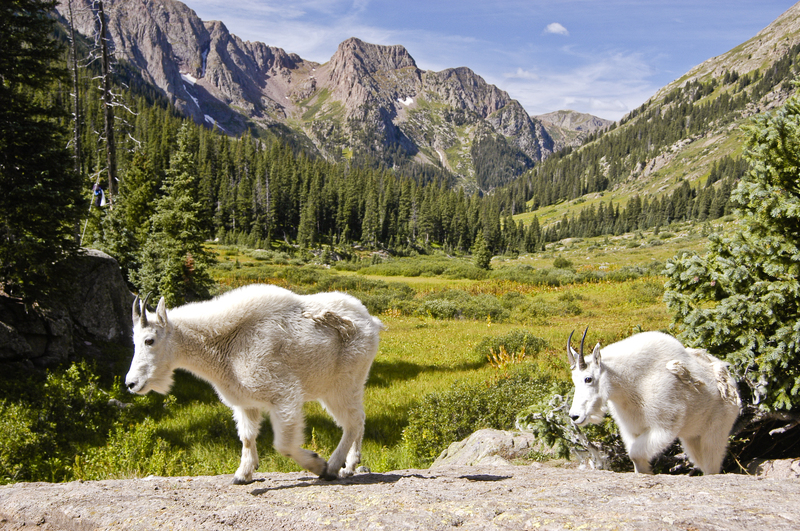 It's also very popular as the base camp for the ascent of Snowmass Mountain. The four passes; West Maroon(12,500ft), Frigid Air, Trail Rider and Buckskin(12,500ft) make this a very challenging and unforgiving 30 miles of Colorado wilderness. What Makes This Trail Unique: The Highline Trail winds through the Wind River Mountains which make up the south-eastern end of the northern Rocky Mountains and the Continental Divide runs down the crest of the range; the highest peak, 13,804ft Gannett Peak, is the highest in Wyoming. Beautiful cirques, 1,300 or more lakes, hanging valleys, rushing streams, and cool forests make this wonderful country for the wilderness-lover and backpacker. Much of the hiking is on or above timberline, with spacious views of the peaks. 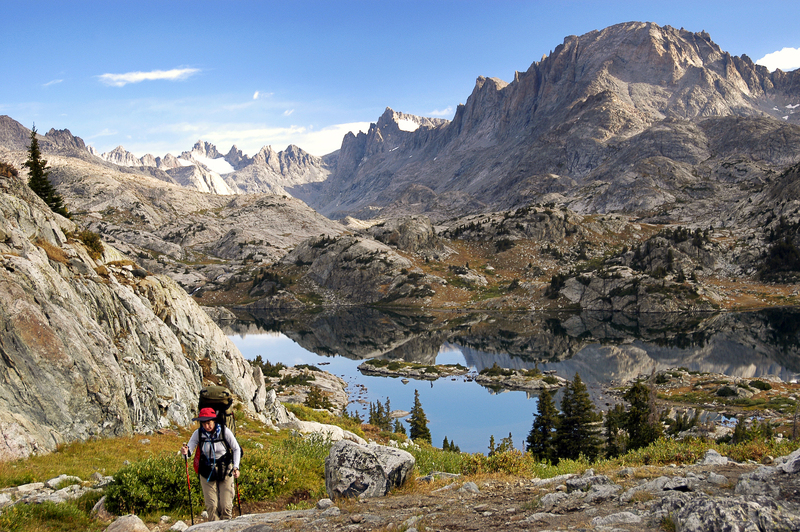 Excellent views of the jumble of spires, cliffs, and peaks around the Titcomb Basin make the trail to Island Lake and Lester Pass a mountain-lover's delight. The Cirque of the Towers was first visited in the early 20th century. With the spectacular scenery in the Cirque of the Towers, this area attracts many hikers and climbers. The Cirque is a wonderful climbing Mecca and should be on everyone's tic list. Kevin Jackson is the owner of The Southern Terrain (http://www.thesouthernterrain.com/), an elite adventure guiding organization in San Diego, California. To learn more about their global adventures, or corporate development programs, call (858) 356-9411 or e-mail at info@thesouthernterrain.com.